Let’s take a moment to evaluate this weekend – the second weekend of October – and it’s meaning to North Americans. And sorry if I get a little controversial. For 31 years, this weekend in October always meant gathering with family for Canadian Thanksgiving and for the last 10, my niece’s birthday. Naturally first celebrated by natives (being the first people and all), it remains a day to give thanks for the harvests and all of bounty the earth provides in my home and native land. For the last 7 years, this weekend means commemorating Christopher Columbus for his exploration and his supposed discovery of America! So if I live here I should be proud to celebrate this day? Ummm, no! Canadian Thanksgiving it is! Regardless of the fact that I now live America, I choose to hold true to my roots and be grateful for our tradition of Thanksgiving. I may not be able to find a place that serves a Canadian Thanksgiving dinner, but I can have turkey dinner any time. What I will do is always look back on Thanksgivings past and remember those times with fondness. Being thankful for having my parents to take care of me, my brother to beat me up, and my group of loyal friends to hang with throughout my life (old and new) is all I could really ask for. And throw in a little pumpkin flavored food at this time of year and I’m good. On the flip side, here in New York City, tomorrow will be the annual Columbus Day parade – messing up travels across 5th Avenue and all through mid-town. Columbus may have sailed to find “The New World” first, but he also destroyed the very existence of thousands of people along the way. And he’s a hero?! He didn’t discover America, there were already people living here. They just weren’t Europeans. But you know the story, and you know me!… So instead of being a Negative Nelly by starting to bash the idea of celebrating Columbus, I will revert back to my positive thoughts and fond memories of my Canadian Thanksgivings. Family, turkey, food, food, food, pumpkin pie, food, sometimes snow, food, maybe watch hockey, pumpkin pie. Yum. So I cordially invite Americans to celebrate with Canadians this weekend! 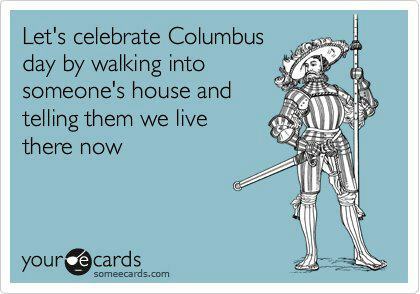 Celebrate both Thanksgivings instead of paying “homage” to Columbus! Giving thanks to a peaceful people, who were willing to share the land and resources with newcomers. 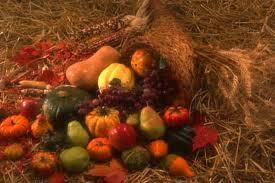 Enjoy and be thankful for those who bring meaning to your life and for the harvests the earth (and farmers) provide. 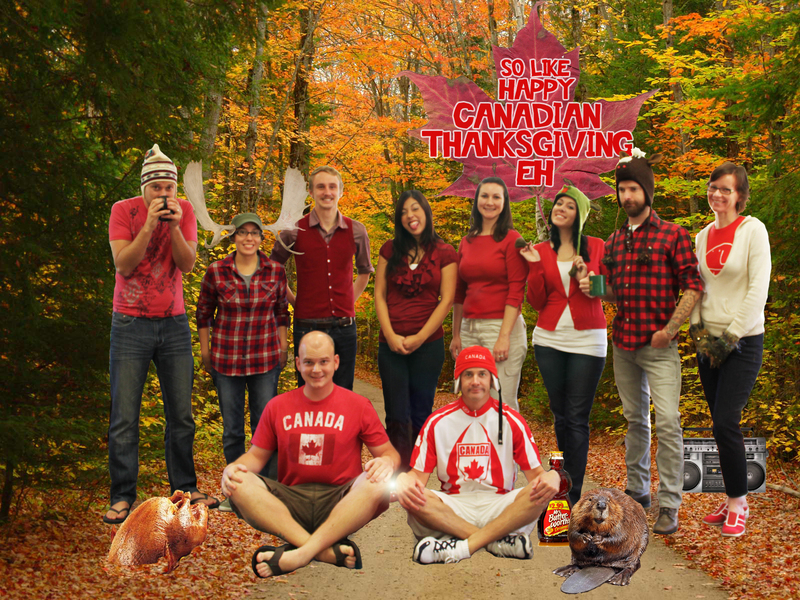 Happy Thanksgiving Canadians and Americans!